This theory about the classic 2000s cartoon show, Foster’s Home For Imaginary Friends is easily one of my new favorite conspiracy revelations. 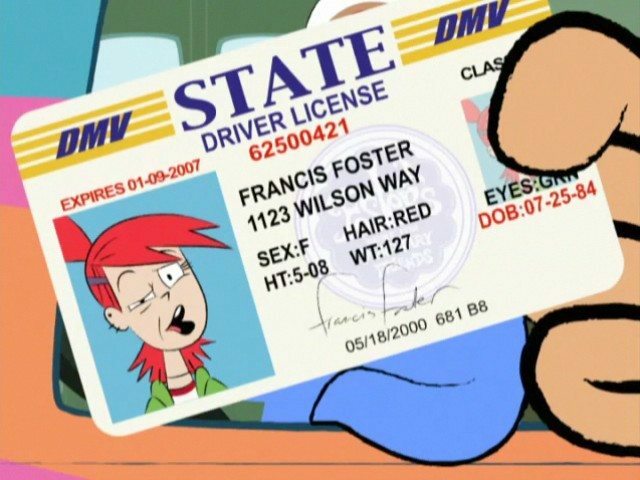 In case you’re unaware of the show or just forgot, “Foster’s” was a Cartoon Network show that aired from 2004 to 2009. In the world of “Foster’s,” imaginary friends can be seen by humans, not just the children who think them up. In this world, humans and imaginary friends coexist, which creates the inherent problem of what to do when children outgrow their imaginary friends. Enter Foster’s Home for Imaginary Friends. Created by Madame Foster, this “Home” shelters imaginary friends who have been abandoned by their creators, and they can be adopted by new kids. Madame Foster runs the home with the help of her imaginary friend, Mr. Herriman, and her 22-year-old granddaughter, Frankie. It was a fun show that actually becomes even more fun when you consider this theory…that Frankie was an imaginary friend as well. 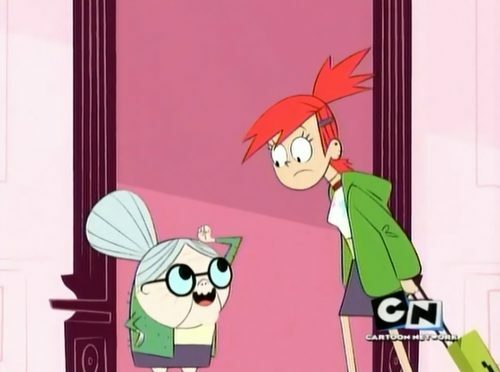 The theory, courtesy of 9gag, argues that Frankie is the younger version of Madame Foster. If you look closely at the picture above, you’ll notice that Frankie’s clothing is the younger version of Madame Foster’s. The idea is that Madame Foster would have imagined a younger version of herself to manage the foster home, since Madame Foster is too old. One of the strongest points of the theory is that Frankie never has imaginary friends of her own, nor does the show allude to that possibility. Granted, she acts and seems human, but as far as I know, no one every really questions whether or not Frankie is human. Now, there are some counter arguments. 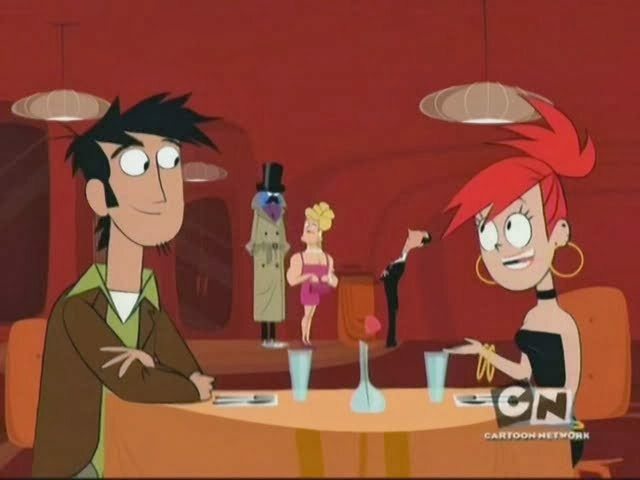 There was one episode where Frankie actually went on a date, as seen below. For the theory to work, Frankie would have to either be unaware of the fact that she’s imaginary, or just like humans. The latter works because there have been several jokes within the series where imaginary friends have had crushes on humans. Frankie is most likely aware of her imaginary origins due to the rule within the Foster’s universe that imaginary friends know who they are from the moment they’re thought up. Also, being imaginary would explain why Frankie is willing to work in a Foster home instead of going to college or pursuing a career. She’s stuck there because Madame Foster is her creator. Why would an imaginary friend need a driver’s license? Here comes my own theory that answers that very question. What if Frankie was the person who imagined Madame Foster? It’s possible that Madame Foster could have passed away due to old age, and Frankie (who would be heartbroken) may have imagined Madame Foster to prevent anyone from finding out. It would explain why Madame Foster is so energetic and childlike, despite being so old. Frankie simply can’t deal with the fact that her grandmother is gone, and that would also explain why Frankie can’t move on from her life at Foster’s. The home actually belongs to her. Do you believe in the Foster’s Home For Imaginary Friends Theory? Previous Previous post: Pixar’s ‘Inside Out’ Gets A Synopsis! oh and the reason that they wear the same clothing might simply be because they have a deep regard for each other and her parents(frankies)are never around so madam fostor is her legal guardian. Frankie wouldn’t need a legal guardian. She’s 22 yeas old. 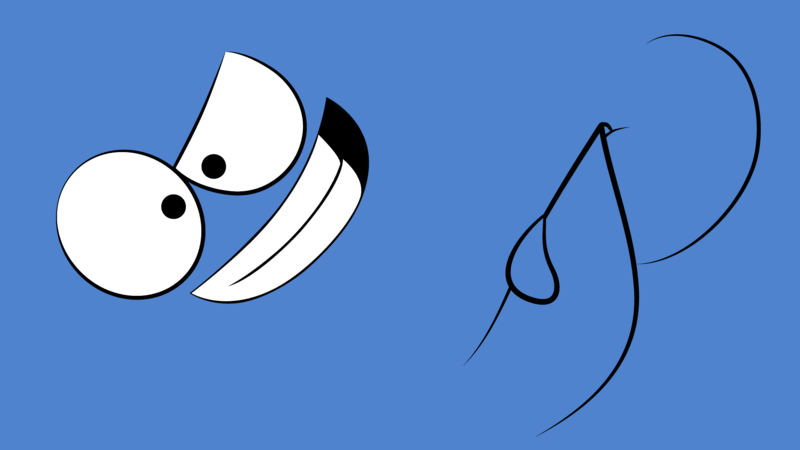 I feel like the imaginary friends in that show are always drawn with fewer black border lines than the real creatures. Frankie’s probably not imaginary, she has too many borders. Maybe Frankie is just incapable of having imaginary friends. I saw an interesting theory, a while ago, that just breaks your heart. It basically went along the lines that none of the people in the show actually exist to anyone other than Frankie; a 22 year old girl living with autism and being cared for by her grandmother. Her grandmother gave her a snow globe music box with the house in it, that plays the opening theme, and she sits and stares at it. 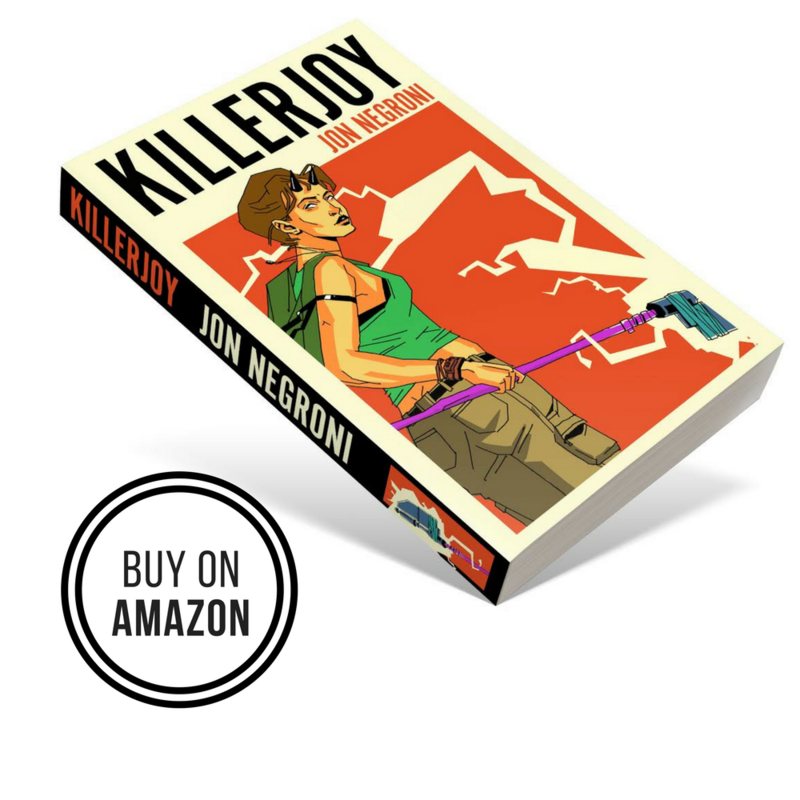 All of the adventures, the characters and everything else are all in her autistic mind. Which would do to explain the bright colors and how small things can be terrifying. That’s the plot for “Saint Elsewhere”. Combine this theory with the one about the grandmother being the imaginary friend. Maybe Frankie has autism and she had a caring grandmother who gave her that snow globe. But the grandmother passed away and now that she no longer is taking care of Frankie, Frankie decides to bring her back in her “autistic mind” to have all of the adventures with. Why is it always about someone with a mental disorder or in purgatory? Don’t see how you reading it breaks “my” heart. your real heart or your imaginary one? Do you mean “my” as in the great heart of Lord cthulhu? Rest assured, he has no heart to speak of. Here is an episode called “The trouble with scribbles. Which shows Frankie as a baby. It also shows that she HAS imaginary friends. Or has created them before. Her imaginary friends are the scribbles. However, perhaps this episode is the reason she doesn’t have any other imaginary friends in the future. She feels like they will cause another disaster like the scribbles and is afraid to try again. Madame foster has Mr. Harriman as an imaginary friends. Therefore, neither of them are imaginary friends themselves. But Frankie love’s imaginary friends, and since she was afraid to make one of her own due to the trauma of the scribbles, she still wants the company of imaginary friends, which is why she never goes off to pursue college or anything. The theory would entail that Mr. H was Madame Foster’s Imaginary Friend, but then she died and was reimagined by the grieving and imaginative (but also frightened) Frankie. Actually it never says that the scribbles were created from Frankie. All it says is babies create the scribbles because the scribbles are babies first thoughts. It does show Frankie as a little girl and all she does is release the scribbles from the secret door but no where in the episode does it say Frankie created them. The Doctor, The Master, Foxy, Big Mac, Slenderman, Jeff the Killer, etc etc. Manly Dan pounds Jeff into the ground. My theory is that the house itself is an imaginary friend. It seems much larger inside than it does outside, is just so amazing, and is a blessing to its occupants and thus a “friend” in a way. I used to love that show!! I used to have an imaginary friend. I think her name was Blueberry Muffin. Or maybe just Muffin. I think I acsidentaly passed her on to my little sister. Don’t know what happened to her after that. None of that theory is right, I think. It’s a cartoon, anything can happen. Their clothes are the same because they’re great friends. Zorrot just made a great case about it. In the episode “The Trouble With Scribbles” it shows Frankie Foster as a young girl (toddler age) letting the “Scribbles” out of the “secret door.” Which means she couldn’t be an “Imaginary Friend” because imaginary friends do not age. Which is why there is a Foster Home for Imaginary Friends because they can’t age with there owners. They can only be grown out of. Clever. But I agree with his second point. There is evidence to back that up as well. Picture this- Madame Foster grows up with Mr. H but doesn’t want to lose him as she grows old, so she creates the Home so that they can stay together, because Mr. H and imaginary friends are her life. Then Frankie comes along. The Home becomes her life, and she loves Ms. Foster. But then Foster passes, and Frankie reimagines her, because she doesn’t want to lose Foster or the Home. What if frankie’s imagnary friend was adopted? I think the reason that Frankie doesn’t have any imaginary friends is because she’s already outgrown them. Both theories are easily proven false. Frankie can’t be an imaginary friend because she’s been shown to actually age. We’ve seen clips of Frankie as a child, after all. And Madame Foster can’t be an imaginary friend, because she has one. Mr. Herriman wouldn’t treat her like the real Madame Foster if she wasn’t her. She clearly has memories from before Frankie was around, and knows things that only the women in the family know. They’re both human. Craig McCracken himself said this wasn’t true. i agree that madam foster is imaginary but it was not until mac arrived that she was thought up. in the first episode madam foster is not seen until the end. if you look back on the episode franky wanted mac to come and go as he pleased but Mr.H didnt like the idea. So franky imagined madam foster coming down the steps. And in truth maybe no one actually knows that madam foster is dead because she died in the house in a room that no one can find. The entire show was then happening upon rooms that no one knew existed. That would be a interesting horror game that’s for sure. What makes people think Franki made Scribbles? It was clearly stated that scribles are made by small babies and Foster’s take care of them cause no one else want, that they are what comes up from babies before they are capable of making “normall” friends. Not even Gloo made that much friends (in total) as there were Scriblles. It might be possible that Frankie made one or two like other babies when she was smaller. It was invoked for ironic reasons. She was scolding Bloo for opening the door while she did the same as small child and he is closer mentally to small baby than grown up lady that all alone is responsible for whole foster care and her Granny. Frankie has no Imaginary Friend. So what? Not everyone need one. Aperantly she was lucky enough not to need one, unlike Mac who needed protection from Terrance and a friend, unlike Jordan who need partner for baseball (and a friend), unlike Miss Oficer who needed protection from bulies (and a friend). She was lucky enough not to need one. Simple. Just like in reall word some children have imaginary friends to cope with whatever problems and some don;t need them and some deal with problems differently. If everyone had one friend then Foster care wouldn’t be enough. There is a lot of humans and alien geometries of the house can;t explain everything. my mind is literally blown. And another comments on here says that teens can’t create imaginary friends, but that’s what extremisaurises are. The scary imaginary friends are made by “jerky teenage boys,” according to Frankie. Can imaginary friends grow up? In the scribbles episode, when Harrimen told of the last time the scribbles were let loose, there was a brief flashback where a baby/toddler Frankie said “sowee Mistew Hawimen. And in present day, she “said [she] was sowee.” (Sorry I just love that joke XD). If imaginary friends don’t change in their age or appearance, this would mean that she is in fact, human, I think.